it seems I'm back to knitting in full force! 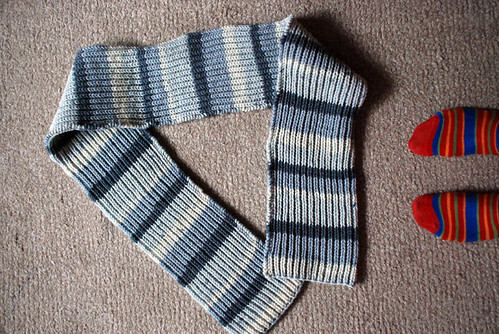 It's probably he many hours spent at hospitals, and the fact that I'm so tired in the evening that all I can do is just knit some rows. 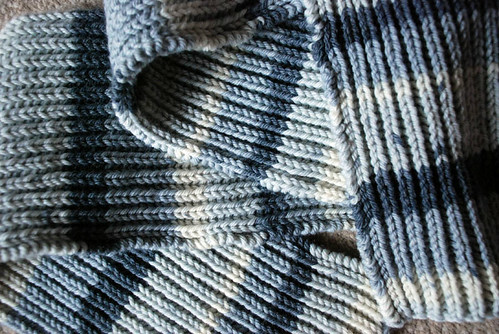 It's a simpe brioche stitch scarf, knitted using self striping yarn. The great thing is that now I know how to knit brioche! And it's no mistery that I love stripes!